Youths across the country have declared their readiness to hijack the political structure from Nigerian politicians in order to actualize their political agitation. 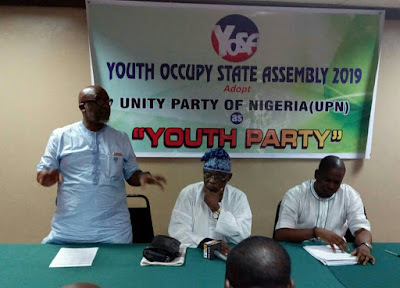 The youths under the aegis of "Youths Occupy State Assembly" (YOSA) 2019 on Thursday in Lagos unanimously adopted the Unity Party of Nigeria (UPN) as a credible political party in Nigeria with youths oriented programmes as encapsulated in the late Obafemi Awolowo's political agenda in the old western region. While addressing journalists, the National Coordinator who doubles as the National President, Yoruba Youths Council of Nigeria (YYCN), Comrade Eric Oluwole stated that, the Youth Occupy State Assembly was imperative to fight against the stumbled political system and challenge the old politicians with the motive to reposition the bastardized political system in Nigeria through dutiful involvement in governance and other related governmental affairs. Comrade Oluwole emphasized that, there resolved in choosing UPN as a political party for the youths was based on the ideologies and philosophy of the late pioneer Premier of the Western region, Chief Obafemi Awolowo’s political agenda which include; free education, free and qualitative healthcare service, gainful employment, integrated rural development among others. Oluwole who commended the National Assembly for the recent enactment of the #nottooyoungtorun bill, stressed that their resolve to occupy the political space was to remodify the leadership mandate that has become a bottleneck in delivery of good governance to the Nigerian masses. He further stated that, their resolved in choosing UPN as a political party for the youths was based on the ideologies and philosophy of the party in the old Western region, urging all other youth assemblies in the country to join the movement for a better Nigeria. "Hoping to familiarize our thoughts via our general decisions within the ambit of the fundamental rule of law, which ascertained the right to lawful assembly and the freedom of speech, we the teeming members of various youths platforms in South-West, Nigeria who are politically imbued have come under the aegis of Youth Occupy State Assemblies (YOSA) 2019 to rise against the stumbled political system and challenge the old politicians with the motive to reposition the bastardized political system in Nigeria through our dutiful involvement in governance and other related governmental affairs. It is on this premise, we have decided to adopt Unity Party of Nigeria (UPN), as the only credible and youth oriented party to be occupied and endorsed for youth’s political agitation. "We have chosen the State House of Assemblies as our steppingstone to exhibit our political potentials in order to meet up with the overriding challenges of good governance, misappropriation of funds and high inflation of contracts by the executive arms at the detriment of the states and the common masses in Nigeria. "Therefore, such aforementioned development suited our decision to merge our interest and to embrace the dignified principles of Awolowo, to serve, implement human based project and to stabilize the society via the recognition of the youths and the repositioning of governmental structures". Also speaking, the World President, Youth Occupy State Assembly, USA, Otunba Soji Adeyemi lampooned Nigerian politicians for not providing a healthy platform for the youths to take the centre stage in the political spectrum of the country, stressing the need for more proactive steps to be taken by the youths. Otunba Adeyemi noted that, the youths movement have the full support of UPN leadership in Nigeria and its ready to give full autonomy to support any youth who are willing to contest on the platform of the youth assembly in the country. He affirmed that, the youths assembly consensually agreed to adopt UPN as a result of its campaign for free education and free health programme in the country. In his own remark, the UPN National Chairman, Professor Bankole Okuwa commended the youth assembly for their tenacity and belief in the political party, promising to hand over the structure of the party to them if proven capable and readiness to take the leadership mantle of the country. 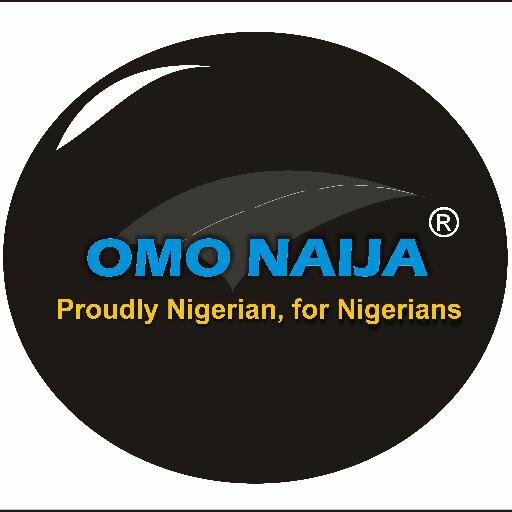 Professor Okuwa therefore, declared that, the UPN nomination ticket is free for any youth contesting under the Youth Occupy Assembly in 2019 across country irrespective of their political affiliation. "The step you have taken today will redefine the political history of Nigeria. It is high time we allow the youths to take the centre of political leadership this country. 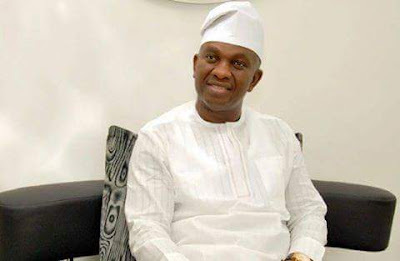 "That is why UPN as a political party, is ready to hand over the party to the vibrant youths who are politically inclined to take up the leadership mantle. ".